Art of Dentistry Courthouse Lynn Farrey D.D.S. (Arlington) - Book Appointment Online! Art of Dentistry Courthouse Lynn Farrey D.D.S. 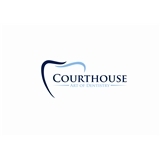 We are the destination practice of Courthouse whose mission is to provide outstanding care with a personal touch and unparalleled customer service. We bring the urban village concept through our dentistry to our community of patients. We are a relationship-based practice whose foundation is built on honesty, integrity, and care. We are focused on the patient experience. Through our co-discovery approach we will listen and help patients make the best decisions about their oral health. Our team is committed to continuing education and the latest in technology. Being a complete dental institute we are able to deliver all dental services in our state of the art practice and be a center for education for other dentists. By referral of your family and friends our community of patients grows "Changing the way Courthouse Smiles."